Crunching colorful leaves on the shoreline path of Geneva Lake. Hitting golf balls beside the banks of Lake Como. Sounds like I was miraculously transported to the famous waterways of Europe. Walking along the shore of Lake Geneva reveals lovely scenes like this. But I was actually visiting the famous lakes of Walworth County in southeastern Wisconsin. Surrounded by million-dollar mansions and boasting brilliant fall foliage, nine-mile-long Geneva Lake is the second deepest lake in Wisconsin and the hub of activity for the town of Lake Geneva. Recently named one of Travel + Leisure’s Top 10 Most Beautiful Towns in America during Fall, Lake Geneva (the town's name reverses the words) also has ample shopping and restaurants, world-class resorts, historic buildings and museums, farm and winery tours, and outdoor recreation opportunities to attract visitors in every season. 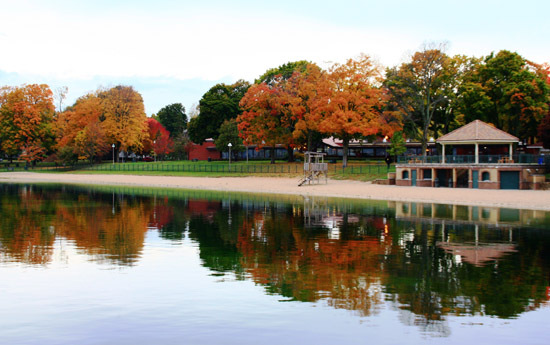 Lake Geneva reflections highlight the beauty of fall colors. Apple and cherry trees bloom in spring, and trees become a blazing kaleidoscope of color in fall. Fresh snow provides the basis for downhill and cross-country skiing and a world-class snow sculpting contest during Winterfest. Mail jumpers must be quick and agile to make their deliveries. 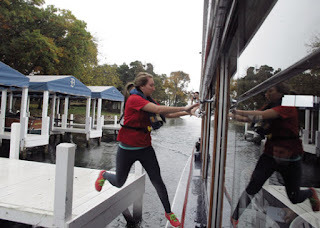 Lake Geneva Mailboat tour. For nearly 90 years mail has been delivered by boat every day from June through September to about 40 homes around the lake. The fun part? The boat doesn’t stop, so the mail jumper must complete a delivery before the boast has passed by the pier. early visitors to Lake Geneva. Tour of Black Point Estate. Built in 1888, this stately home located on a bluff overlooking Geneva Lake was inhabited by members of the original family until it was donated to the state for preservation in 2005. Yerkes Observatory. Home to the largest refracting telescope in the world, the history of how this place came to be is as interesting as its creation of modern astrophysics. Lake Walk Tour. An old law requires the winding path around Lake Geneva be open to the public. 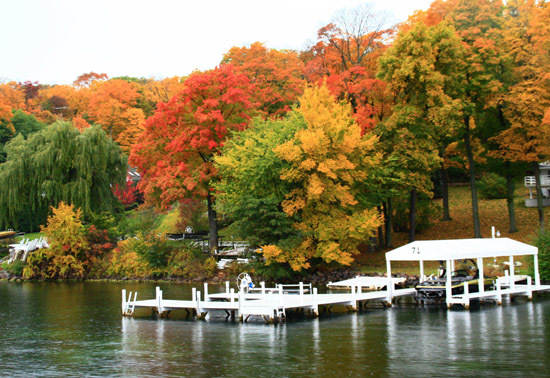 As a result, walking on the shoreline takes walkers into the backyards of beautifully manicured, expensive lakefront homes. 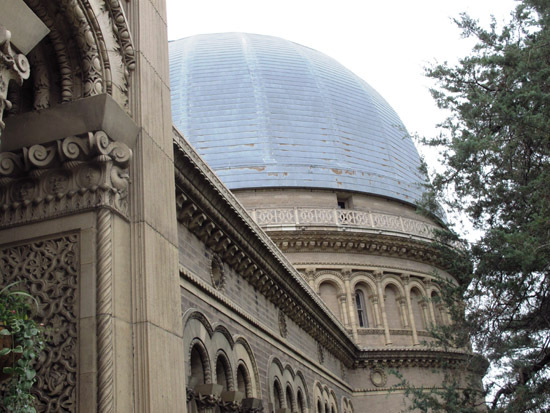 Yerkes Observatory has a fascinating history. Zip though the air. 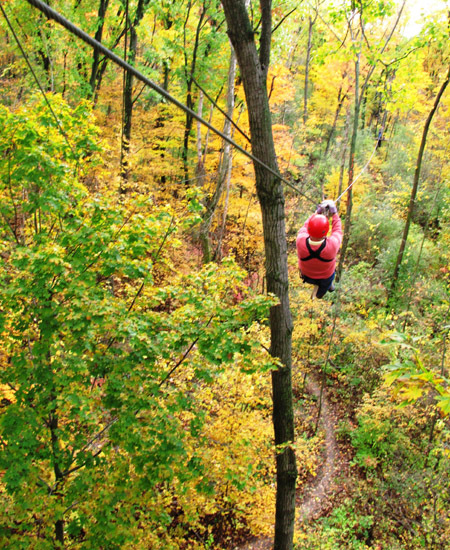 Soar among an explosion of fall color on Lake Geneva Canopy Tours. Eight zip lines, five sky bridges, three spiral staircases, and a “floating” double helix stairway are highlights of this spectacular forest adventure, which our guides assured us were popular year-round. 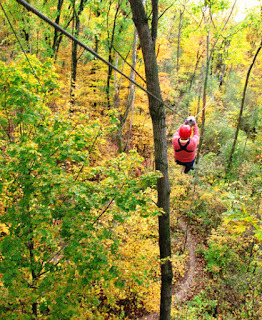 Zip lining is an amazing experience in any season. Golfing, biking, kayaking, boating, fishing, and hiking. With three notable lakes in the county (Delavan Lake is the third), there are many opportunities for a variety of outdoor recreational activities in every season. Golf courses are abundant, and biking is a favorite way for visitors to get around. 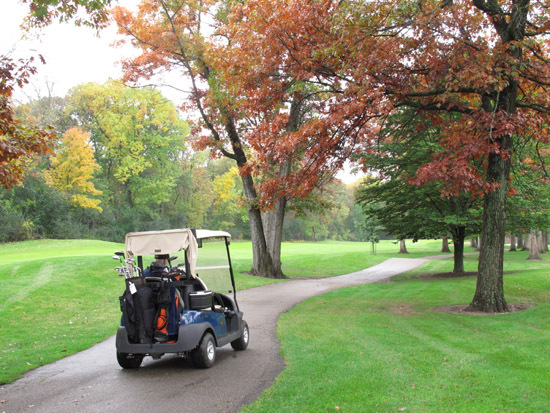 Lush golf courses attract many visitors. If you live in the South, this is a perfect destination to escape hot summer days. 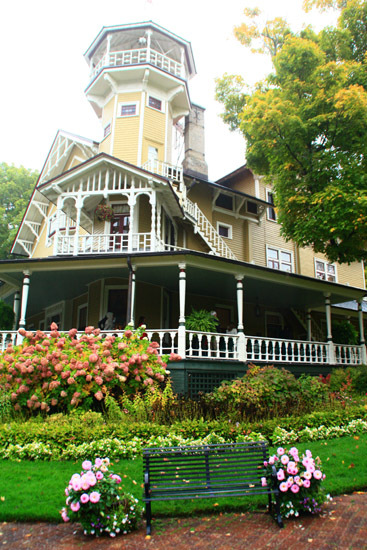 Or plan a visit in the fall to admire outstanding color--and see why the town of Lake Geneva has received numerous accolades.